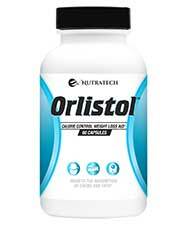 Orlistol is a diet pill created by Nutratech Health LLC. It’s intended to mimic the effects of the prescription weight loss medication Orlistat (Xenical). Claims: Designed to limit the amount of fat the body is capable of digesting. Negatives: In our opinion PhenQ will give you a better fat blocking experience. What is Orlistol and How Does it Work? The prescription drug Orlistat is a fat blocker. Products of this nature are designed to limit the amount of fat the body is capable of digesting. A gram of fat contains nine calories, but calories have to be released from food via the digestive process. When people take the drug Orlistat it causes a large percentage of any fat that’s been consumed to pass through the body unprocessed, so you would expect Nutratech Orlistol to work in the same way. It doesn’t. Although the formulation contains one popular fat blocking ingredient (chitosan), it also contains other ingredients that are normally used to block carbohydrate absorption, provide appetite suppression, and deliver other benefits. The formulation also contains a couple of laxatives, so if it does encourage weight loss it may not be due to the formulation’s alleged fat blocking ability. Chitosan: An ingredient that’s usually sourced from sea-living crustaceans, but can also be obtained from a species of fungus. The body cannot digest chitosan or anything it absorbs, and chitosan is very good at absorbing dietary fat, so it’s a key ingredient in many fat blocking diet pills. Phaseolus Vulgaris: Generally better known as white kidney bean extract, phaseolus vulgaris is the most commonly-used carb-blocking ingredient in the world. It prevents the starch-digesting enzyme amylase from doing its job. This causes carbohydrate to pass through the body in an undigested state and undigested carbohydrate does not release any calories. Apple Cider Vinegar: Apple cider vinegar is one of the latest celebrity fads and pop pin-up Katy Perry admits she’s used it from a very young age. People make a lot of claims for the virtues of this ingredient, including weight loss, but there doesn’t seem to be any solid evidence to prove it works. 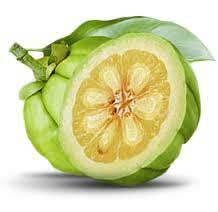 Garcinia Cambogia Extract: A respected weight loss provider powered by hydroxycitric acid (HCA). The extract is usually taken from the rind of the fruit and its good for suppressing the appetite and preventing new fat cells growth. Sylvestre: An African/Indian shrub extract that prevents sugar absorption and may stop the rapid post-eating elevations in blood glucose that can lead to a desire for sweet food. Aloe Vera Extract: An ingredient that’s often used as a laxative. The Mayo Clinic states aloe vera offers a number of health benefits, but it’s unclear why Nutra Tech have chosen to add it here. California Buckthorn: Also called cascara. This is a shrub extract that’s primarily used as a laxative. It’s interesting and somewhat worrying to see it paired with aloe vera because, in May 2002, the FDA banned both ingredients from being used in over-the-counter laxatives. Usage Instructions – If you want to use this product, some calorie counting will be involved. The recommended dose is one to two capsules, taken with 8oz of water before meals, and it’s permissible to take a maximum of four capsules per day. When it comes to deciding how many capsules to take, the deciding factor is the calorie content of the meal. If the meal provides less than 500 calories, only one capsule is required. If it provides more than this you will need to take two. Customer feedback is mixed. Some people appear to love Orlistol, while others think it doesn’t live up to expectation. Side effects don’t appear to be an issue, but Nutratech state pregnant or nursing mothers and children under the age of 18 will need to consult a physician prior to using Orlistol. The company offers the same advice to potential users with existing medical conditions. This is pretty standard diet pill advice, but it’s also good advice that should be heeded by anyone who is considering using this product. If you are allergic to seafood, we suggest you don’t use this product at all. 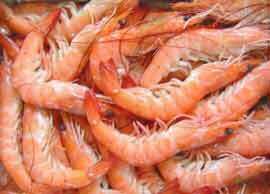 It contains chitosan, which may have been sourced from lobsters or other species of crustacean that live in the sea. You can buy Orlistol from the manufacturer’s website and from Amazon.com. In both cases the price is the same. A 30-day supply of pills costs $39.99 (or equivalent in £ or €). That doesn’t sound too bad at first, but a bottle only contains 60 capsules. Anyone taking the maximum dose of four capsules per day will find a bottle of Orlistol is only good for 15 days. A 30-day money back guarantee is promised, but it only applies to products purchased via the manufacturer’s website and it starts from the day the product was ordered, not the day it was received. That doesn’t give customers a lot of time to evaluate this product and see what it can do. Most people won’t want to get out a calculator every time they need to decide how many pills they need to take before a meal; so Orlistol’s complicated usage guidelines are working against it right from the start. This product is going to be more complicated to use than the drug it’s intended to replace. It’s also likely to be quite costly to use and anyone who is not happy with it’s performance doesn’t have long to try and get their money back. Looking at the list of ingredients, Orlistol may help with weight loss, but fat blocking may not be a big part of the process. In fact, any results obtained may be deceptive because the presence of laxatives may cause users to start walking around with emptier bowels and the loss of extra faeces from the body may be mistaken for loss of fat. So, if you do decide to use this product, bear in mind any results obtained may not be as good as they seem. If you are looking at fat blockers then PhenQ is arguably the market leader. 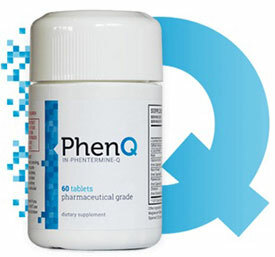 PhenQ is a highly recommended diet product with a long guarantee period.